The IKA ROTOTRON® RT is an all-purpose jet-flow agitator used for homogenizing, dispersing, suspending, emulsifying, aerating, dissolving and improvement of heat transfer. The RT is most effectively used for tasks ranging between that of a conventional stirring machine and a dispersing machine with a rotor-stator system. Different diameters and bending angles of the stator tube, at inlet and outlet, create optimal suctioning and a vertical flow direction. Even in working vessels with unfavorable dimensions and shapes, an intensive circulation is created. High rotor speeds and minimal distances between mixing wings and the jet tube prevent back flow losses and guarantee an intensive dispersion. Deflectors on the stator prevent air entry into the medium at various immersion depths. 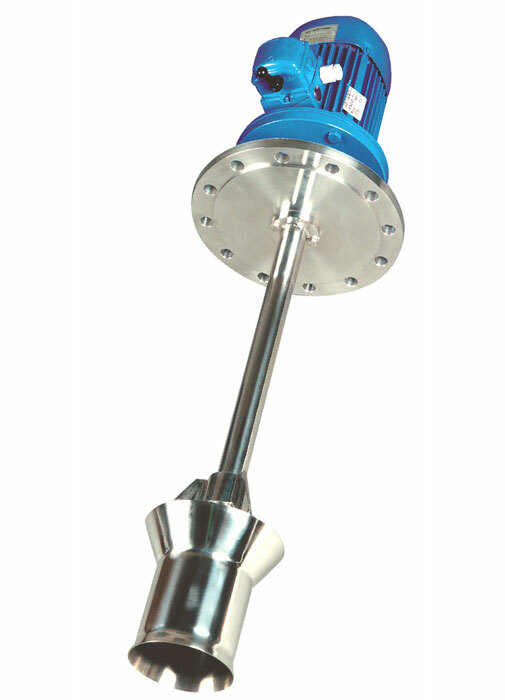 A standard propeller stirrer will disseminate energy throughout the entire vessel content. A higher energy density can be achieved with the use of a jet flow agitator and a flow-restricting guiding tube. The jet-flow agitator ROTOTRON® is considered a uniquely energy-efficient machine because of the substantial circulation and mixing effect provided by the relatively small motor. The ROTOTRON® RT is suitable for vertical and also submerged mounting into large vessels. It makes unnecessary the use of conventional agitators with extremely long shafts. 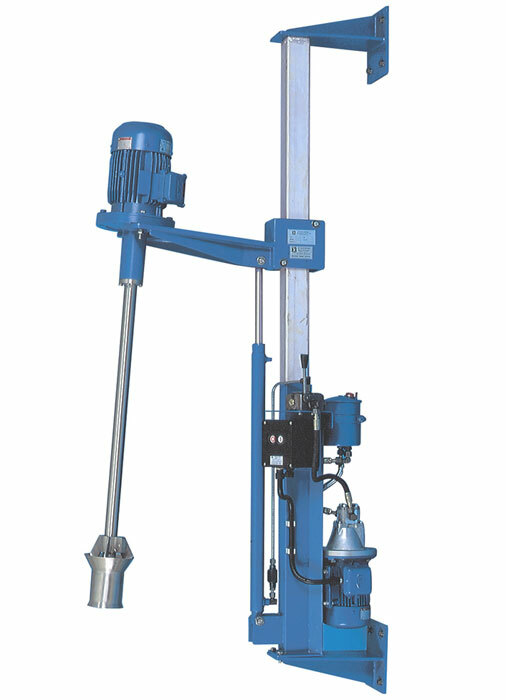 The RT machines mix media with a viscosity of up to 15.000 mPas. For higher viscosities, flow direction reversing switch is recommended. IKA produces the ROTOTRON® stirrers in six standard sizes for vessels with volumes from 200 to 30.000 liters. All models are available with two different types of flanges for installation in open or closed vessels. The ROTOTRON® for open vessels is available with floor, wall or mobile stands. The rotating shaft is sealed with either a lip seal or a single-acting mechanical seal. The ROTOTRON® is equipped with a mechanical seal for operations under pressures of up to 10 bar or when processing abrasive media. 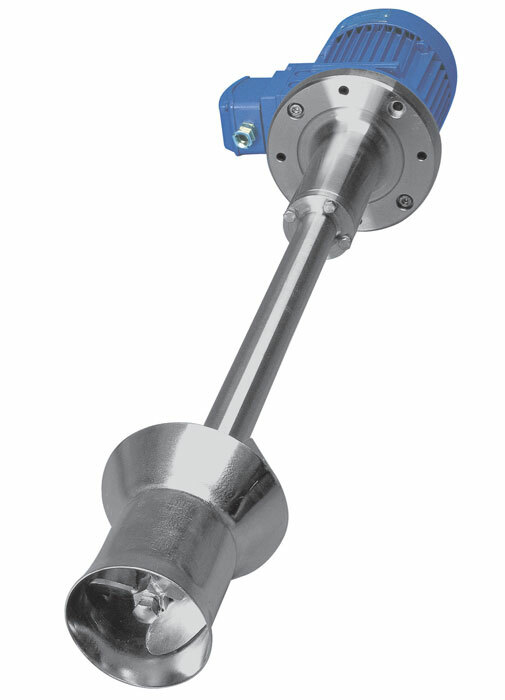 Example: The RT 150-KT/KD is a ROTOTRON® RT with a 150 mm diameter guiding tube, a lip seal and a KD flange for installation in closed vessels. 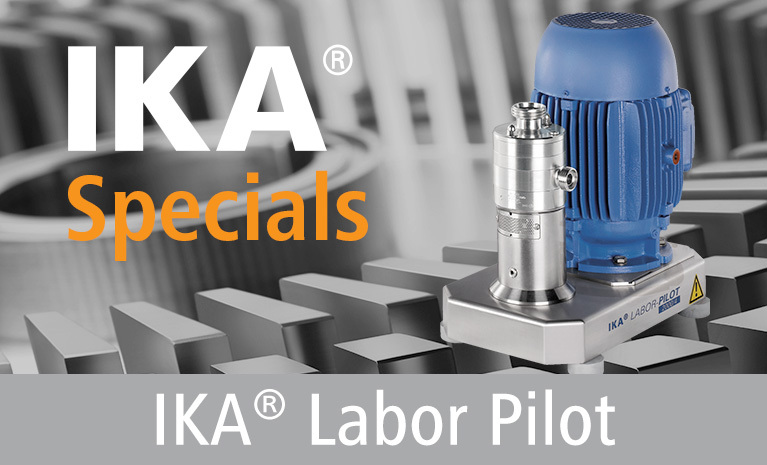 The IKA application specialists would be happy to provide assistance with selection of seals and installation positions for the ROTOTRON® machines.